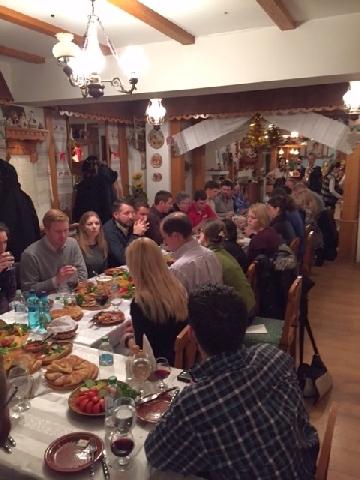 After breakfast, we began our journey to Moldova. We spent quality time on the bus, as the respective Border Patrol officers for Romania and Moldova processed our passports. 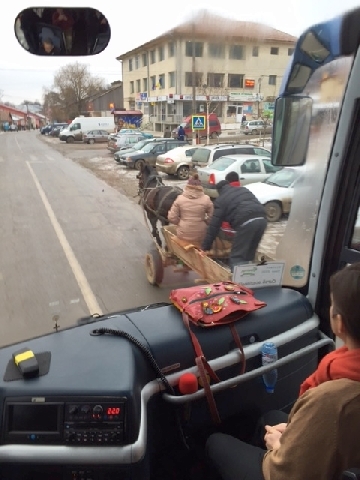 A horse or a team of horses pulling a wagon was commonplace in both Romania and Moldova. 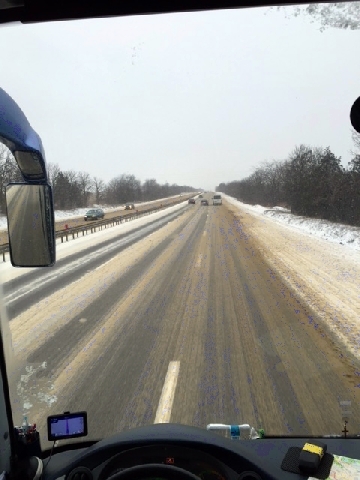 The snow began falling and the wind speed increased as we entered the Republic of Moldova. 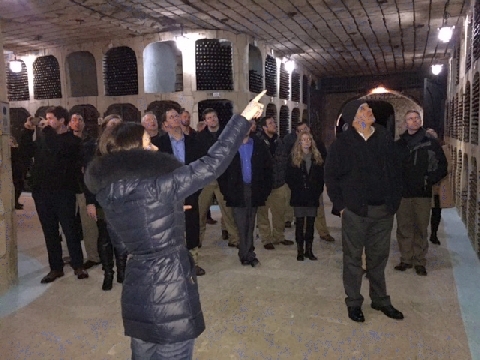 Our first stop was a visit to the Milestii Mici cellars, a natural wine depository. 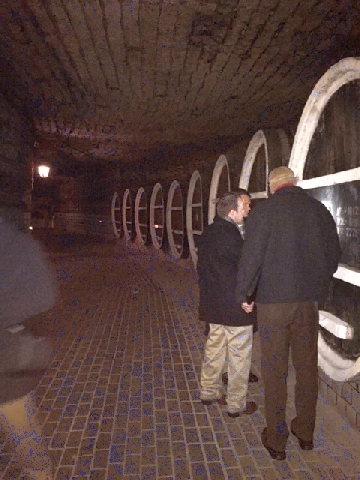 LEAD 34 Fellows inspect barrels of wine at Milestii Mici, an underground wine city in limestone stretching for 250 km, of which 120 km are in use. 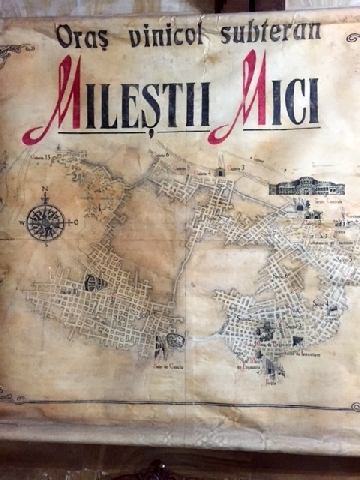 The Milestii Mici cellar complex is recognized to be the largest in the world. Milestii Mici's representative points out a specific vintage to LEAD 34. 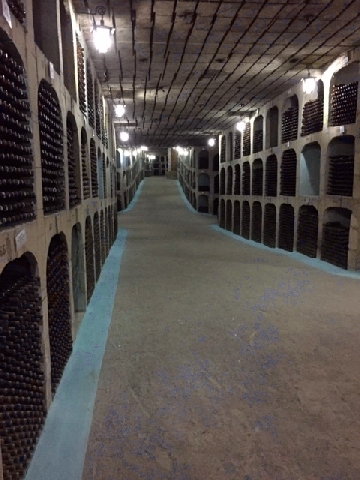 The cellar was founded in 1969 to store, preserve and mature high quality wines. 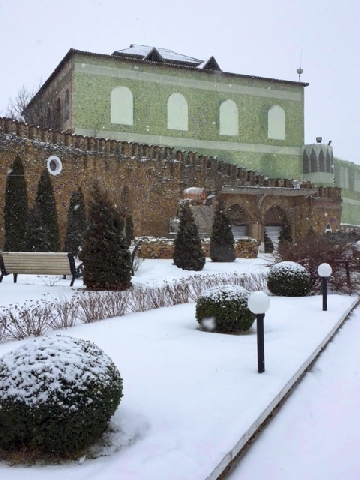 Of the over two million bottles of wine stored at the Milestii Mici cellars, 70% are red wines, 20% are white wines, and 10% are dessert wines. 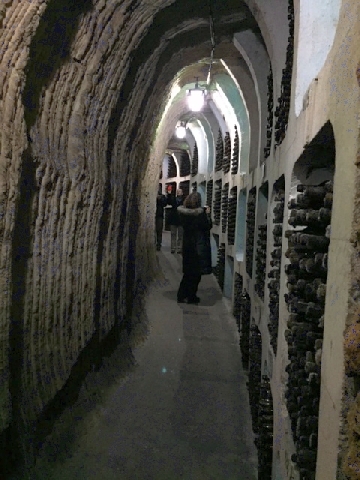 The tunnel streets are named "Cabernet", "Shardonait", "Feteasca" and "Sauvignon" etc. and we traveled in small busses throughout the underground labyrinth. We enjoyed a late afternoon walking tour through Chisinau. 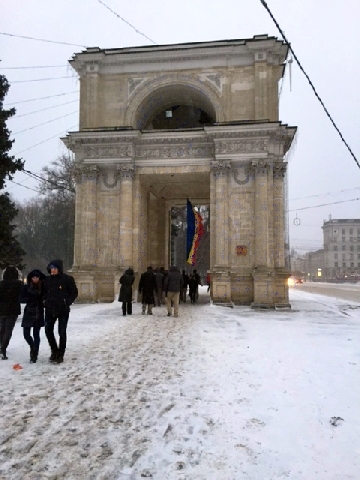 The Triumphal Arch was built in 1840 to commemorate the victory of the Russian Empire over the Ottoman Empire in the Russo-Turkish War in 1828-29. 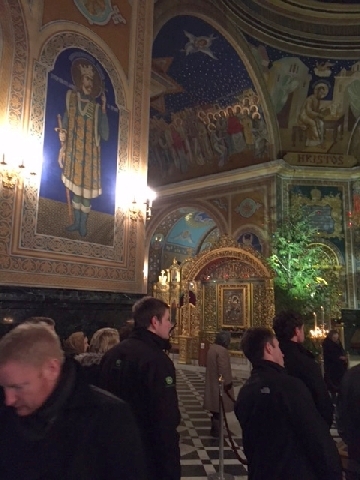 LEAD 34 visits the Nativity Cathedral, a Eastern Orthodox Church. 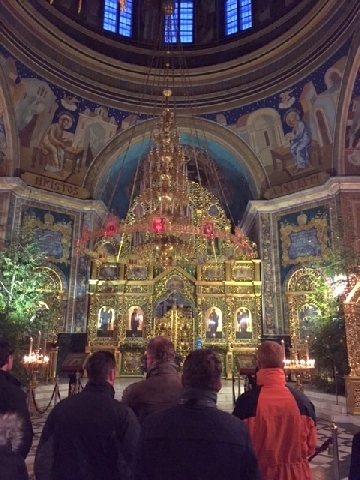 Inside the Nativity Cathedral in Chisinau. 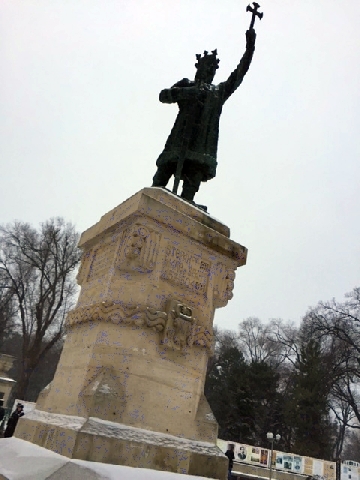 Statue of Stefan the Great, a great ruler with strong Orthodox beliefs. He was a decisive leader who saved his people from the Ottoman Empire. 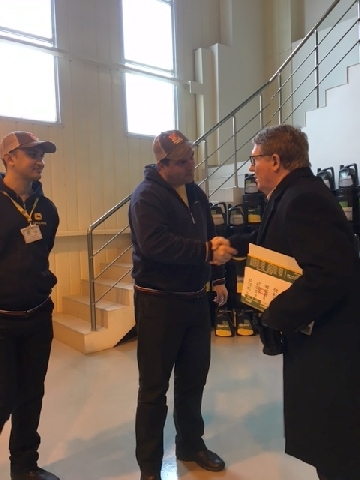 After breakfast, we traveled on snow covered streets and highways to Agromester HD, a John Deere dealership near Stauceni, Moldova. 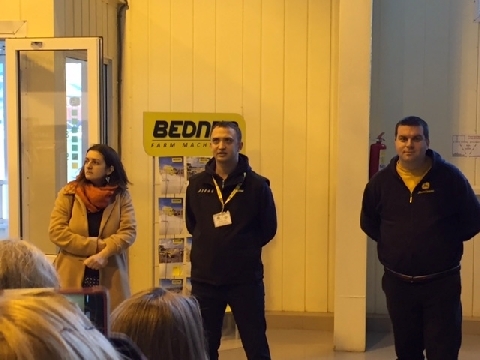 Our guide/ translator, Smaranda with Igor Scutaru, Service Manager (center) and Serghei Pruteanu, Manager (right) at Agromester HD. 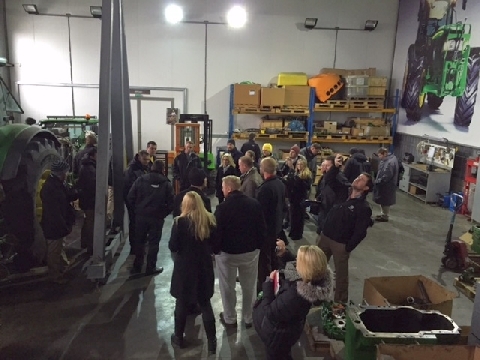 LEAD 34 receive a briefing on the service/shop area at Agromester HD. 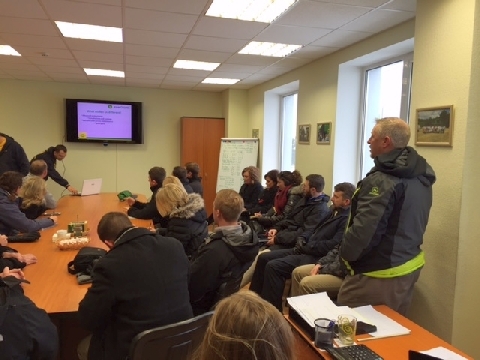 Serghei and Igor share information on their dealership with LEAD 34. 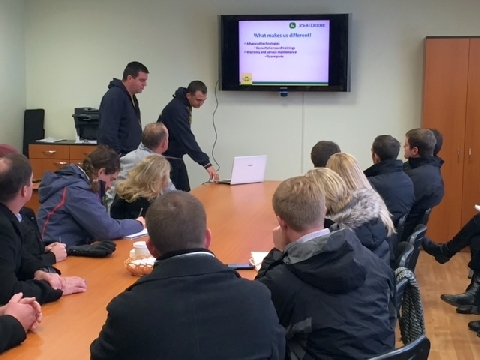 Wayne Brozek (standing, back right) asks a question during the presentation at Agromester HD. 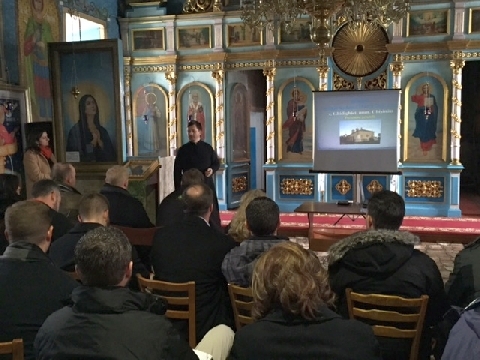 Later in the morning, we visited an Orthodox Church in a village 25 km outside on Chisinau. 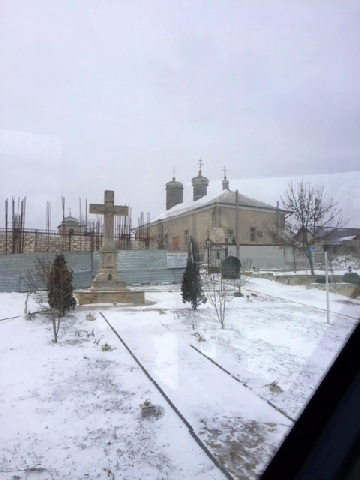 We met with Maxim Melinti, an Eastern Orthodox priest, who is very active in the life of his community. 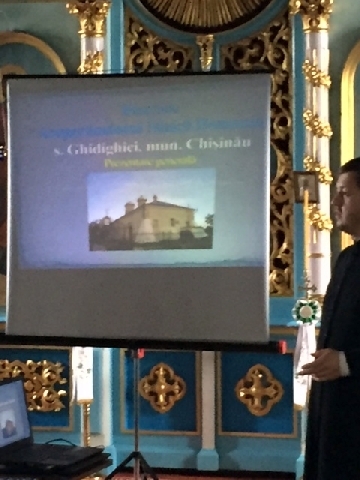 Father Melinti shared with us his work of re-integrating inmates in society after serving prison terms, his role in the prevention and control of HIV/AIDS and TB, and in important environmental issues. Dr. Hejny bids Serghei good bye as Igor looks on as our visit to Agromester HD came to an end. It's hard to believe that our journey is coming to an end. 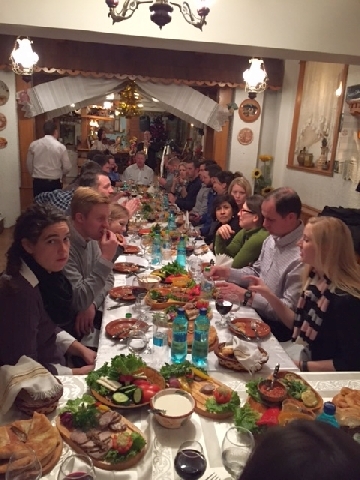 Tonight, we enjoyed a traditional Moldavian dinner at a downtown restaurant. 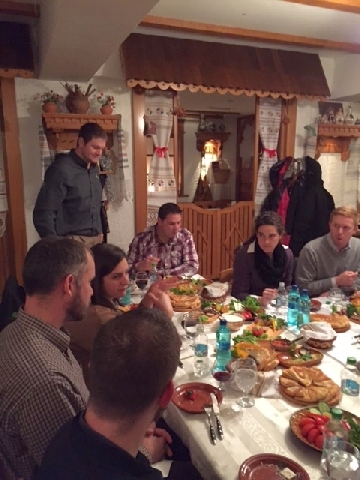 Great food and conversation with LEAD 34, our guides Smaranda and Victoria, and Daniel, our bus driver. Our journey is coming to an end, but the memories will last a lifetime. 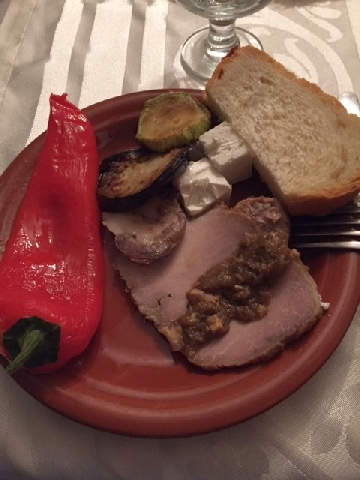 Starting with a "small" appetizer. 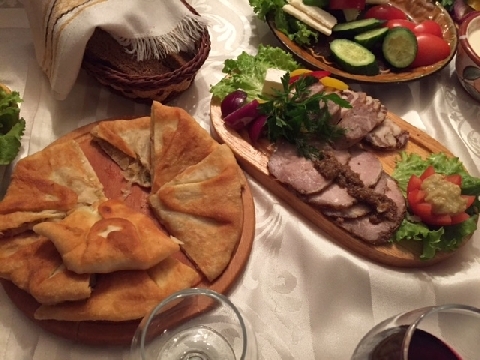 Traditional Moldavian cuisine. 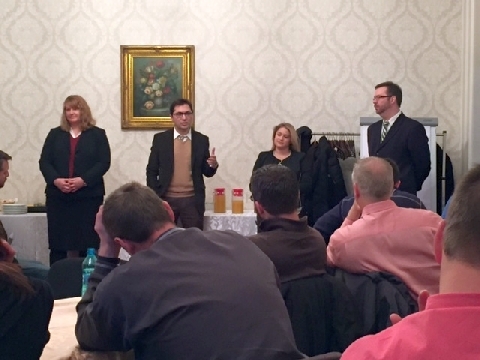 After breakfast, we enjoyed meeting with (l-r) Jeanette Tyson, Sam Mikhelson, Kate Bartlett, and Ben Williams of the U.S. Embassy in Moldova. 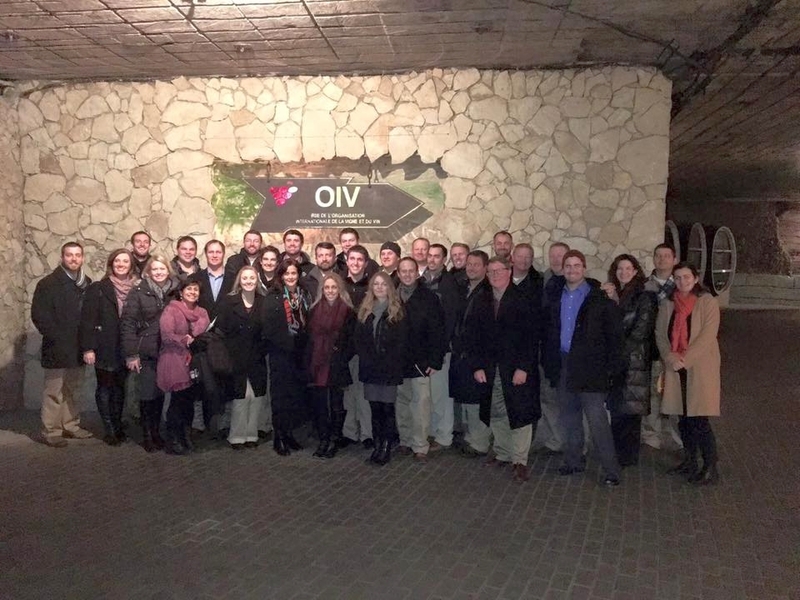 LEAD 34 received briefings in the political, economic, and public affairs areas. We are now all checked in for our flight to Munich, then on to Chicago with our final destination to Omaha. We would like to thank the Nebraska Agricultural Leadership Council and its Board of Directors, IANR Vice Chancellor Ronnie Green, the University of Nebraska-Lincoln and the Nebraska LEAD Program office for making this adventure possible.